Editor’s note: This week, we work with Chris Ching from Code With Chris to give you an introduction to iBeacons in iOS 7. 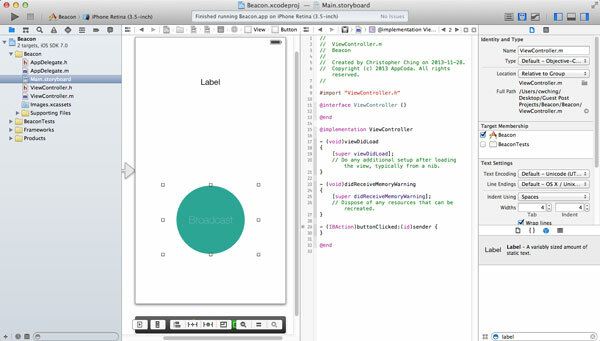 Not only you’ll learn what iBeacon is, Chris will show you how to use iBeacons in your apps. Surely you’ve heard of the nifty new feature in iOS 7 that lets your app gather location contextual information indoors where it can’t use GPS? If you haven’t, not to fear because we’re going to show you what it is and how you can use it in this article! Beacon works over Bluetooth Low Energy (BLE) technology in your iPhone and as the name implies, it’s incredibly battery efficient. Going hand in hand with being low energy, it also has a short range of approximately 150 feet. The impact of having location sensitive information while indoors is already turning into real world applications. For example, Macy’s already has a pilot program underway where it has planted several beacons in different departments around the store. When a user passes by one of these departments and the companion app on their phone picks up the broadcast, it’ll open the app and display contextual information like promos, featured products and deals. Take a look at this short video to see iBeacons in action! Similar to the Macy’s pilot program app, the sample app we’re building here today will demonstrate how to detect and handle a broadcast from a beacon. However, in order to have a beacon to handle, we have to first create another app to act as the beacon which will do nothing except broadcast a signal. 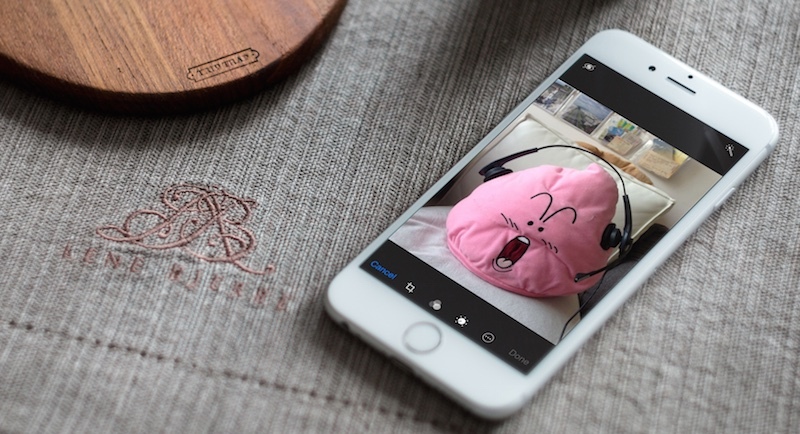 By the end of the article, we’ll have two apps representing both sides of the communication. Note: In order to try the demo out, you will need two actual iOS 7 devices supporting BLE. These are iPhone 4S and up, iPad mini and iPad 3 and up. You will also need to be enrolled in the Apple iOS Developer Program ($99 a year) in order to deploy the apps onto the devices. The beacon will continually broadcast this UUID and the receiver app will detect beacons with this same UUID. 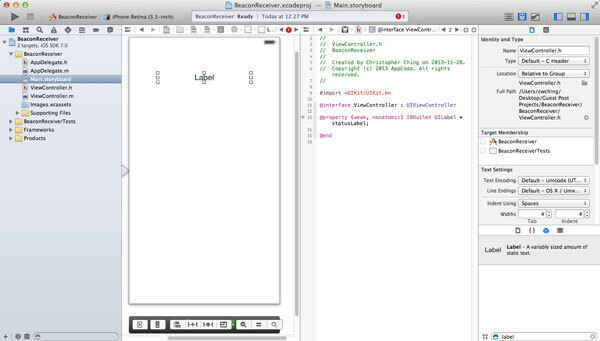 Let’s get started by creating a new Single View Application in Xcode. Next let’s add the images for the button that will start the broadcasting. 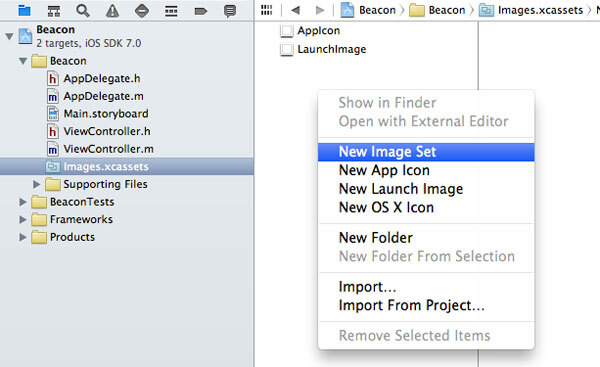 Go to your image asset library (images.xcassets) and in the asset listing, right click and select “New Image Set”. 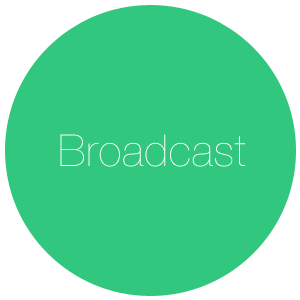 Then rename the image set to “BroadcastButton”. When you select this image set, you’ll see that there are spots for you to add a 2x image and a 1x image. 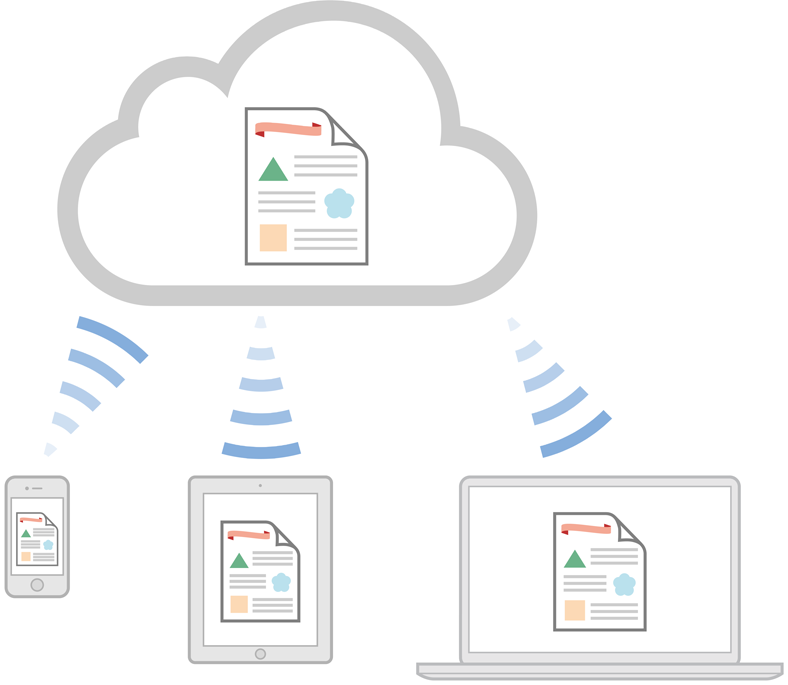 Save these two button images onto your file system and then drag “[email protected]” into the 2x spot and “BroadcastBtn.png” into the 1x spot. In Main.storyboard, we’re going to add a UIButton element so drag one onto your view from the Objects pane in the lower right hand corner. Select the button in the storyboard and go into the attributes inspector to get rid of the title and change the image to the image set that we added. 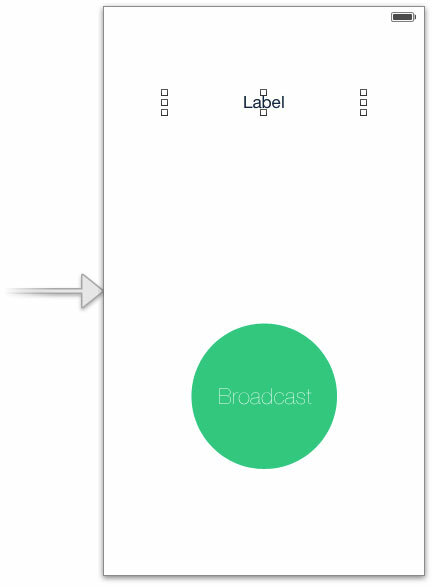 Now let’s add a UILabel element to the view so that we know when the app is broadcasting. Drag a UILabel element from the Objects pane onto your view. Next, we’ll expose the UILabel to our ViewController object by hooking it up to an IBOutlet property. Let’s open up Assistant Editor (you can do so with the assistant editor button in the upper right corner of the Xcode interface). Make sure that you’re looking at ViewController.h in the right pane and then hold “control” and click and drag a line from the UILabel to a space between the “@interface” and “@end” lines in the .h file. When you release your mouse, you’ll see a pop up dialog. Give the property a name of “statusLabel”. Before we can actually broadcast anything over Bluetooth, we need to add the appropriate frameworks to our project. Go to your project settings and scroll to the bottom. 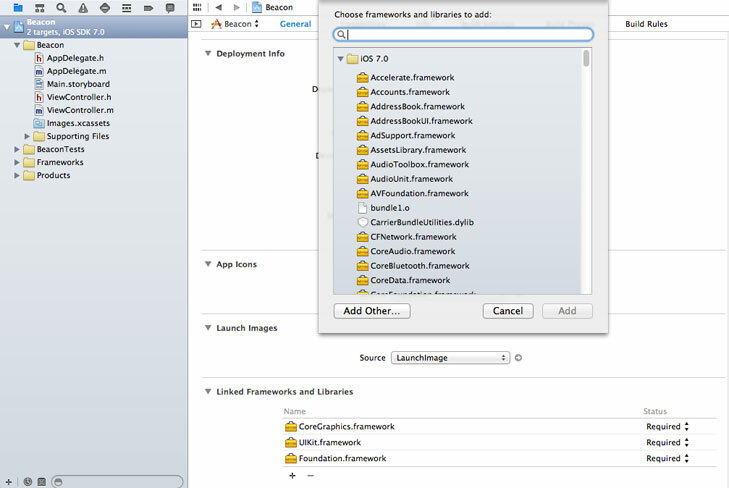 Click the “+” button under “Linked Frameworks and Libraries” to add CoreBluetooth.framework and CoreLocation.framework. Once opened, you’ll have a window where you can type in “uuidgen” and it will output a UUID for you to use! Copy the generated UUID because we’re going to be broadcasting that! In ViewController.h let’s import the frameworks which we added earlier. Next, let’s add 3 more properties that we’ll be using to broadcast. So in total, you’ll have 4 properties in your ViewController.h file. Ok, now we’re done in the .h file, let’s go into the .m file. In the viewDidLoad method, add the following code (substitute the UUID for the one you generated). In the code above, we’re creating a new NSUUID object by passing in the UUID that we want to broadcast. Then we’re setting up a CLBeaconRegion and initializing it with that UUID, a major and minor number and an identifier. The major and minor numbers are for you to identify your beacons if you have a whole bunch of them inside your location. In the Macy’s example above, each department may have a specific major number which identifies a group of beacons and inside that department, each beacon may have a specific minor number. So with both the major and minor, you’ll be able to identify exactly which beacon has been picked up. Finally, the identifier is a unique id for that region. In the code above, we’re calling the method “peripheralDataWithMeasuredPower:” method of the beacon region which will give us the beacon data that we will later use to broadcast. The second line starts the peripheral manager and will start to monitor updates to the status of Bluetooth. Now we have to handle the status update method to detect when Bluetooth is on and off. So add this delegate method which is required because our ViewController class conforms to the “CBPeripheralManagerDelegate” protocol. The method above gets triggered whenever there is a change in the Bluetooth peripheral status. So in the method, we check what the current status is. If it’s on, we’ll update our label and call the “startAdvertising” method and pass it our beacon data to broadcast. Conversely, if the status is off, then we’ll stop advertising. Now when you deploy the app to your device, turn on bluetooth and tap the button, it’ll be broadcasting your UUID! Let’s create the receiver app to detect and handle the broadcast! Let’s set up another Single View Application and this time, call it “BeaconReceiver”. Go into the Main.storyboard and let’s keep it simple and add a single UILabel to the view that we’ll use to update the status when a beacon is detected. Drag a UILabel element from the Objects pane onto your view. Then click the UILabel and go into the attributes inspector to change the alignment to Center Align and change the width to 200. Now just like we did before, let’s expose the UILabel as an IBOutlet property. Open up Assistant Editor and make sure ViewController.h is on the right hand pane. 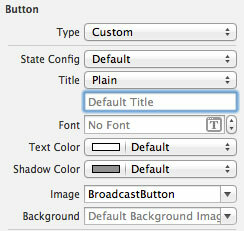 Then hold down “control” and click the UILabel and drag a line over to the right pane in between “@interface” and “@end”. When you let go, a pop up dialog will show up and you can name the property “statusLabel”. Finally, go into ViewController.h and import the framework at the top and modify the class declaration to conform to the CLLocationManagerDelegate protocol because the protocol contains a delegate method that will let us know of newly detected beacons. Now go into ViewController.m and in the “viewDidLoad” method, we’re going to initialize our locationManager and set ourselves as the delegate for it. We’re also going to start monitoring for the desired beacon so have that UUID handy! Ok a lot is going on in the code above so let’s take it line by line. In Line 7 and 8, we’re initializing locationManager to a new instance of CLLocationManager and then setting ourselves as its delegate so we can be notified of updates. In line 11, we’re setting up a NSUUID object with the same UUID as the one that’s being broadcasted by the app we created earlier. In line 14, we’re setting up the beacon region by passing in the UUID we want to look for as well as the region identifier of the region that’s being broadcasted. And finally in line 18, we’re passing the region into the location manager to monitor for us. Next we’re going to need to implement some delegate methods that will be called when the region is detected. The code above implements two methods that get triggered when the device enters a region or leaves a region. When a region is entered, we tell locationManager to start looking for beacons in the region. This method will get fired when one or more beacons are detected. In the code above you can see how we could get the UUID, major and minor data from the beacon. Furthermore, although we don’t implement it above, you can loop through the beacons array and determine which one is the closest by checking the proximity property of the beacon. If you’ve got two devices and you’ve paid to enrol in the Apple iOS Developer program, you can test the communication out. 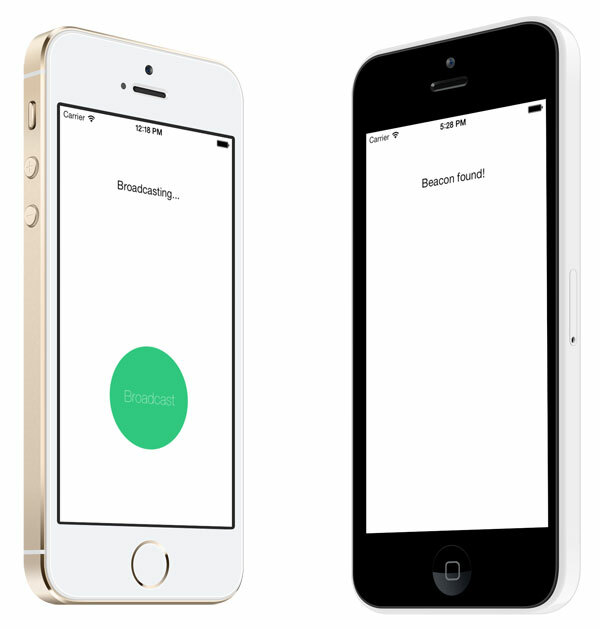 Launch the beacon app and tap the “Broadcast” button and wait for the “Broadcasting…” message to appear. Launch the receiver app and carry it far away from the broadcasting beacon and then walk towards it to simulate entering the region. If you don’t have multiple devices, you can still build some cool applications by buying BLE beacons and placing them around your house. Estimote makes such beacons and you get three for $99. So I hope you can see how powerful and applicable iBeacons are and I hope this demo has sparked your imagination for some real world possibilities too! For your complete reference, you can download the Xcode project of the demo app from here. I’d love to hear your thoughts in the comments below and if you learned something new, please use the social buttons to share this with your friends and colleagues! This post is contributed by Chris Ching from Code With Chris. 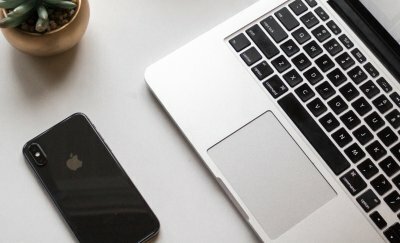 Chris has taught iOS programming to many beginners through his site and YouTube channel and has recently launched a video course: How To Create An App. I just say, “Esta super chingon el tutorial” in other words congratulations for this great tut! Thanks, Chris – good stuff. I ordered the Estimote a week ago and was just about ready to start playing around with iBeacon code. Very timely! I’m hoping to use the relative range reporting to do some GPS-like navigation indoors. iBeacons was one of the things I got really excited about during WWDC. I’ve done some experimenting on my own but this is an excellent tutorial and really solidified my learning. Now my enthusiasm has been reinvigorated, thanks! Hello Chris! Thanks a lot for your tutorial, it helped me a lot with my project! There’s a small problem: my app (the receiver) is not always firing up the method “didRangeBeacons” when a beacon is found. It sometimes does but rarely. Good eye, thanks for letting me know Joel! Cheers for the tutorial, very helpful!! 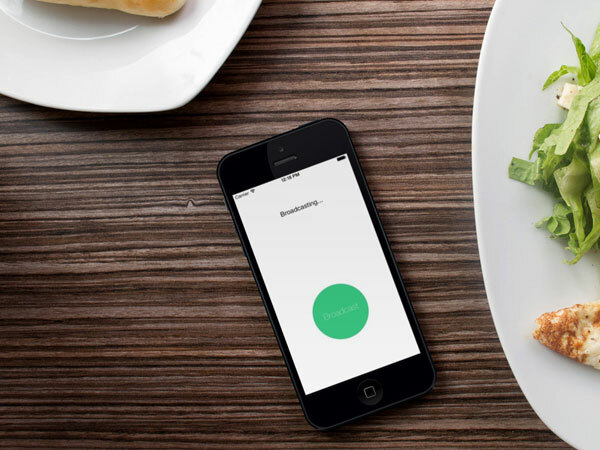 just wondering if it is possible to combine a receiver and an iBeacon into one app? Hey Jack, it’s possible to put it into the same app and let the user select whether it should be a receiver or a broadcaster on launch! First: You should call [self.locationManager requestStateForRegion:self.beaconRegion] after calling [self.locationManager startMonitoringForRegion:self.beaconRegion]. This seems to force it to check if it’s already IN the region. Second: You MUST have “Background App Refresh” enabled for region monitoring to work! I tried this example and it just wouldn’t work for me. I checked the value of [CLLocationManager isMonitoringAvailableForClass:[self.beaconRegion class]] and of [CLLocationManager authorizationStatus] and both were fine, so I was stumped for a while. Finally I found the “Region Monitoring” section of Apple’s “Location and Maps Programming Guide” and discovered that this error can occur if “Background App Refresh” is disabled on the device. Once I enabled it, it worked fine. Thanks Adrienne for taking the time to comment and help everyone out! I’ll get into contact w/ Simon to see if i can amend the article. I tried with this updated code for the background App beacon detection and emitter. But its not working. If your have successfully implemented this features can you please share the full application. It’d probably be best put in a ELSE clause while we’re at it. Nice tutorial. However I am running into some challenges. I was able to write, compile and push the individual apps to two different iOS Dev iPhones (4s & 5s). I am able to start both apps successfully. I am able to click “Broadcast” and start the broadcasting process, however I am not getting any responses on the receiver app. I checked to make sure I had the same UUID’s thinking it was that. Any ideas? Thanks. Hello Marvi, unfortunately with the implementation I did in the article, if you start the receiver when it’s already in the beacon range, it’s not going to fire. Just checking that you’re walking far away from the beacon and then walking back into range to get it to fire? Also Adrienne, a commenter below, mentioned that you need to have “Background App Refresh” enabled on the device for it to work. The Beacon app is not listed in Bluetooth sharing, how can I add it. Bluetooth on iPhone 4 does not support Bluetooth LE, which is required for iBeacon. 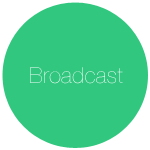 Hey how do you make the BroadcastButton Image ? Can you send me the Project pls :). Yes this i want to know,too! 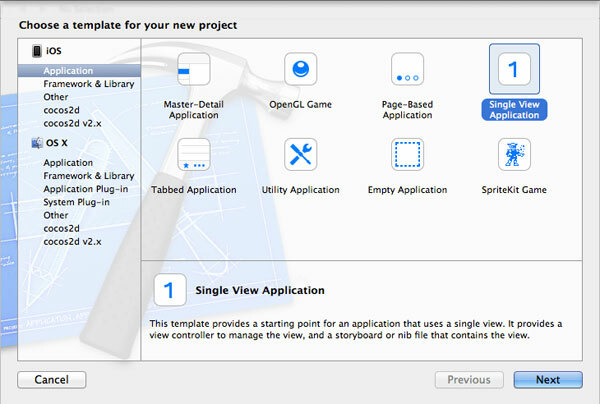 Hey Tom, you can download the Xcode project in the link under the “Summary” section.. button image was made in PS! I mean with Project ,the PS Project 😀 for the Buttons. They are really cool 🙂 ..so can you send me maybe the “PS” Project please :). no problem! 🙂 Can you get in contact with me through the contact link on my site? Then i can email it as an attachment for you. Thanks. 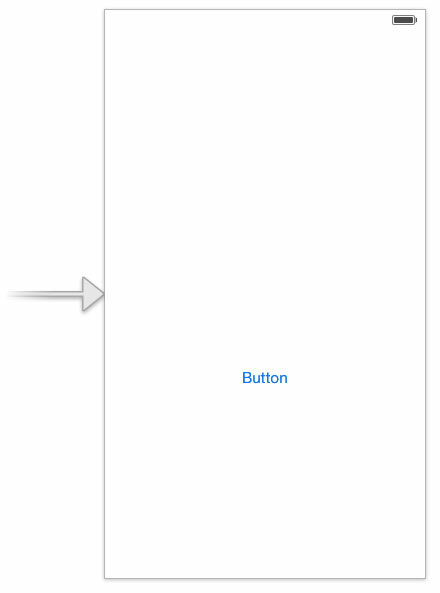 less intuitive xcode steps in development. Worth mentioning the beacon emitted by this example transmit app is also detected by Android BLE scanning apps. 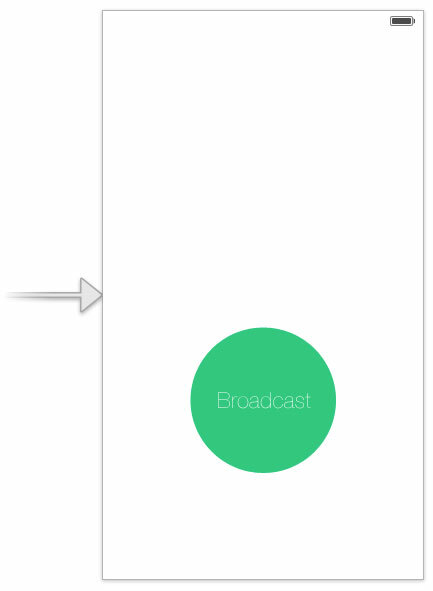 In that scenario the iBeacon app outlined here demonstrates the potential of how quickly a BLE device can detected after it begins broadcasting its beacon. Hi Chris, Great piece of work! I have a couple of questions, I have purchased a beacon, I have the UUID and wish to only use the second part of your code (the receiver app) to try and link it to a real beacon, I am a bit stuck with the Minor and Major bit of the code. 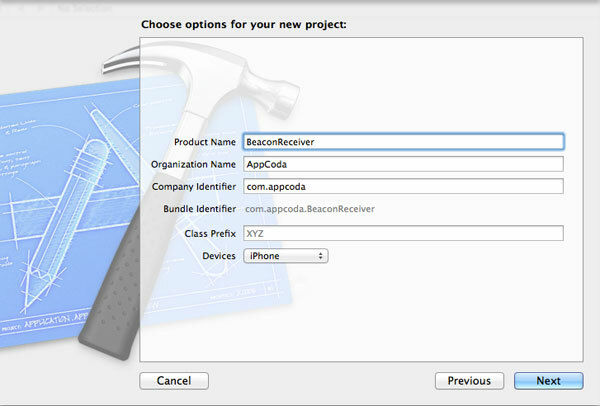 In the first app, Obviously I only have the UUID, I don’t have the identifier, so what would I change in the code on the receiver app to just look for the UUID of the beacon I have rather than the beacon app which I haven’t made? …if that makes sense? I am in the same boat you were with this question. Did you ever figure it out? I am in the same boat as well? Did either of you happen to figure it out? 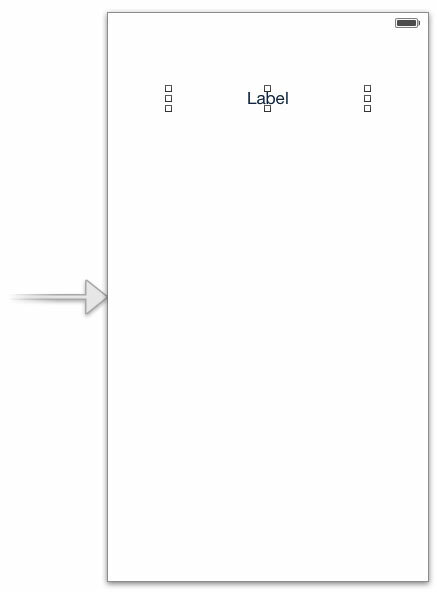 Is There “How to use ibeacons in iSO7 with triangulation” example for an app? My receiver doesn’t seem to my beacon even if I go far out of range (30-40 m) and come back. “Background App Refresh”is enabled on my device. I tried the suggestion Adriene below made, adding [self.locationManager requestStateForRegion:self.myBeaconRegion]. I want to obtain the accurately distance between the iBeacon and the divece. My question is can uuid program as dynamic? This tutorial rocks!Thank you so much ! I have a question, why does not it alert or notify when the app is not running in the background or hard closed. Or how? please let me know. Thanks. Did anyone get back to you on how the app can work in the background? Great tutorial! Thanks Chris for creating it. I had a problem with my reciever not recieving anything. Turns out there is a bluetooth stack issue you can run into. After a restart of my phone the beacon was detected straight away. Thank you Chris for taking you time to share this, it was a welcomed speedy intro into iBeacons. instead of displaying a local notification is it possible to get data from webserver, let’s say more information about the beacon, while the app is in background? Can you share the link again. Above link in not working. Hi Can this works even when the app is not in background i mean app is completely closed. Is it possible to share the data between two iPhone devices through the sample which you developed ? Hi, the tutorial is great, but I’m afraid it’s not working for me. I have a beacon which is being located by another app ( Locate iBeacons by Radius Networks ) which is not detected by this app. So, I think this stuff may be the problem. Any clue? I just have a question for you, will the app keep monitoring beacons on the background. What do I have to do if I want my app to send a push notification when it detects a beacon, even if the app is not running. With this implementation, as the author say, if you start the receiver when it’s already in the beacon range, it’s not going to fire. If you want find an ibeacon you need to walk far away from its region, and then walk back into range. How can I modify this code to find a beacon that it is in range when I lunch the app? is it posibble to name or tag the receiver, and then make the broadcaster app knows the receiver name? I am not understand how to perform this task. Great tutorial, but doesn’t work on iOS 8.
which is an Access Denied error. i am using ble peripheral tag after scanning i found identifier and name . when i click on any cell the desire peripheral are connected ..
and button in peripheral tag will detect and didUpdateValueForCharacteristic method are called on button click. but when we are moving to another screen the button will not detect and peripheral will disconnect .. I want when the peripheral are connect one time they always to be connected until app are not suspended ..
Got this tutorial for iOS 8? Is there a swift tutorial? Or could someone translate this thanks! Your tutorial is really nice and I need to use iBeacon for the checkout system for the devices in my office is there any way that I can keep getting updates of -(void)locationManager:(CLLocationManager *)manager didRangeBeacons:(NSArray *)beacons inRegion: event even if the app is killed or running in the background. Hi, i happened to work on beacons and this seemed to be a good example. But I’m stuck in a part where i can modify this code to find a beacon that it is in range when I launch the app? I get a trouble that when i test in real device sometimes it cant detect ibeacon. But when i use ibeacon detecting tool it is ok. It is not far i think normal device can detect. the download link is broken. Can you please update the url to download or send me the project please. I have created beacon using the first part. On Click on button, I get status as “powerOff”. Monitoring for Beacon Region Will Call after terminate our application?